Pagham chairman Tony Shea has praised his side for the spirit shown in their FA Cup run which brought a welcome windfall to the club’s coffers. The SCFL Premier side bowed out of the competition in the first qualifying round last weekend after a 2-0 defeat to Bostik Premier side Whitehawk. More than 200 people packed into Nyetimber Lane to watch a valiant effort from Richie Hellen and Tom Simmonds side against a team competing at two leagues above them. And, despite the defeat, Shea said there was plenty to build on for the rest of the campaign. He said: “I thought we were the better side in the first half – everyone who was there will agree with that – but that came without us being threatening in the final third. “We got punished by two goals and the first one was due to a lack of concentration. The level we were playing against just told in the end. Pagham’s run to the competition netted the club a prize money windfall of more than £5,000. Shea said the money would be reinvested in the facilities at Nyetimber Lane – with a new dishwasher high on the priority list. He said: “It does cost a lot of money to keep a football club going. 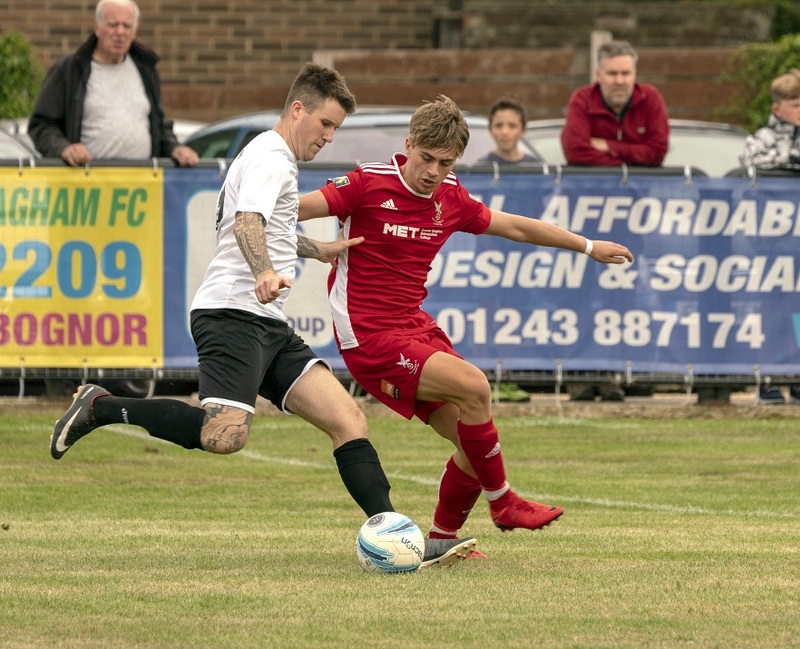 Pagham followed up their spirited cup performance with a disappointing 0-0 draw at Broadbridge Heath in midweek which saw three players sent off. That result leaves the Lions third in the league, still undefeated but seven points off top spot. Pagham have no game this weekend because of a bye in the FA Vase but return to action on Tuesday with a trip to Worthing United in the RUR Cup (7.45pm). The Lions will be without last year’s leading scorer, Dan Simmonds, who has joined Wessex Premier side AFC Portchester.